The newest PICO MEGA 80w kit is another innovative design overhaul from JayBo, manufactured by Eleaf. This new compact design validates the idea of “Less is More“. The Eleaf PICO MEGA mod features a generous 80w maximum output, and is now compatible with the ultra long battery life 26650 cells, as well as standard 18650 cells, this is an all-day-friendly unit, that will surely satisfy cravings and wallets alike. 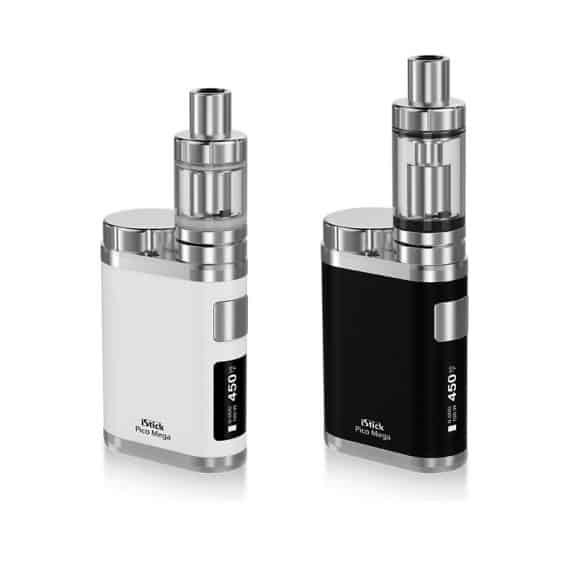 The Melo 3 tank is an upgrade of the popular Melo 2 tank, know for its ease of use and reliability. The Melo 3 tank has 4ml capacity and is also compatible for use with Aspire Atlantis and Triton Coils, as well as the cCell Ceramic Coils, from Vaporesso. 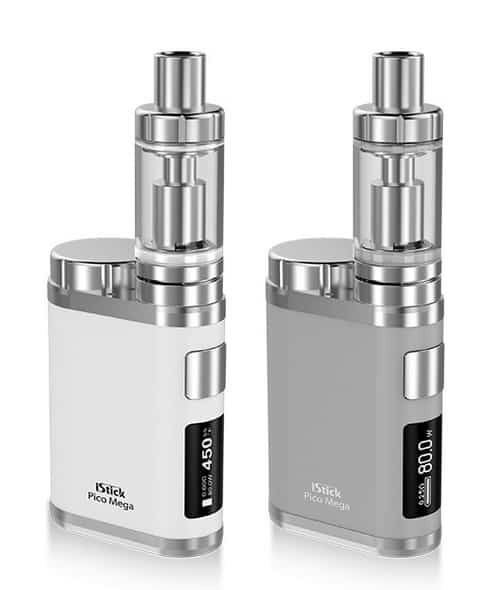 The Eleaf PICO MEGA kit now comes with the new EC Notch Coil 0.25ohm Stainless Steel Coil head. 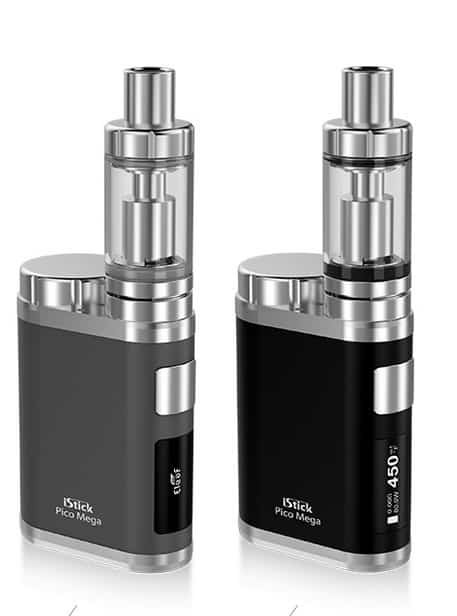 The PICO MEGA mod is an exciting new addition to the Eleaf line-up, and is the beginning of a new trend of small yet powerful units being introduced into the vape market. 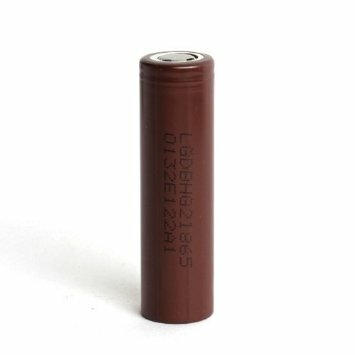 This mod utilizes its compact size well, with an extended negative battery terminal, effectively allowing the PICO mod to be smaller in height than the 26650 or 18650 cell that powers it. Capable of up to 80W, the Eleaf PICO MEGA kit gives you variable wattage control between 1W-80W and fires as low as .10Ω in wattage mode, and .05Ω in temperature control mode. The 0.3Ω Kanthal coil operates optimally at a wide wattage range of 30w-75w, allowing you the choice of impressive cloud production (direct to lung), or a relaxed (mouth to lung) vaping style, increasing battery life substantially. The device is also capable of pass-through charging and has upgradable firmware through a micro USB port. This full starter kit comes equipped with the new 22mm MELO 3 Tank to compliment the PICO MEGA 80w mod nicely. 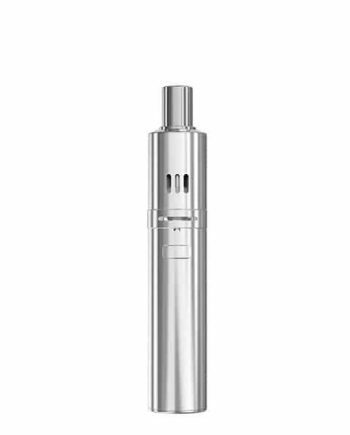 The Melo 3 tank features a hidden adjustable airflow, a 4.0ml juice reservoir,and a Stainless Steel cased, delrin lined drip tip.